Jord. Swedish for Earth. Soil. Land. Accurate movements set in natural woods create modern timepieces that are as beautiful as they are functional. Today I have to share with you their Ely Series Model in cherry. This simple, elegant piece is modeled along the lines of the classic diver style with it's round face, wide, smooth bezel and link bracelet band. 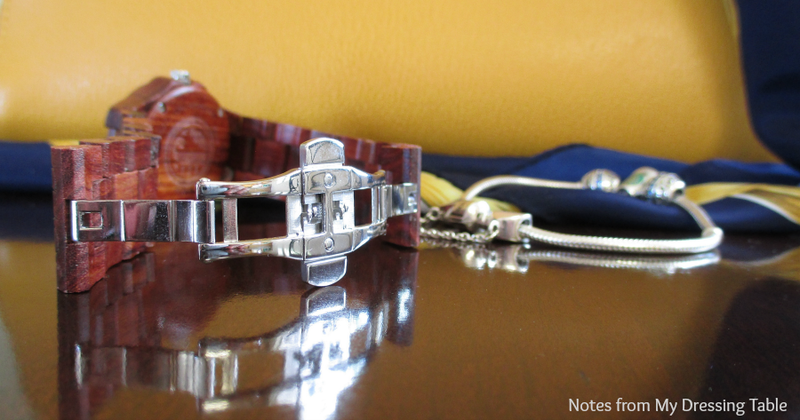 This lovely watch can stand alone and it stacks beautifully with bracelets. The Ely model has a scratch resistant mineral crystal and a Citizen Myota quartz movement with date display. This watch is as accurate as it is lovely to look at. The watch, while splash resistant is not waterproof. You can get a little water on it when you're washing your hands and it should be okay if you get caught in the rain but don't immerse it. As with any product made with natural wood, there will be variations in colour tone and grain pattern from piece to piece. My Jord Watch arrived packaged in a paperboard box. I am seeing other blog posts featuring a wood presentation and storage box but I didn't receive one. Every watch has a warranty card and an additional card with Jord's social media information in it. Hanging from the band, affixed with a piece of natural twine is a small, round wood logo charm. 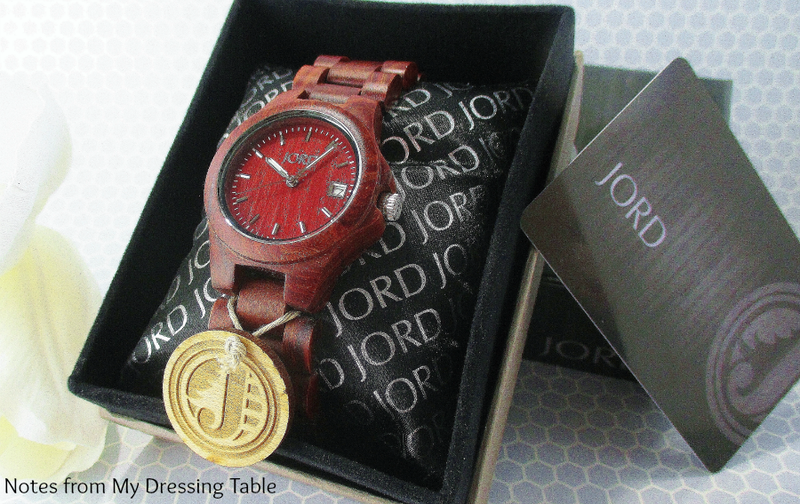 Jord Watches arrive on your doorstep bedded safely down on a plump, soft pillow to cushion it in transit and afford for a beautiful presentation for gift giving and storage, if desired. Jord watch bands come in standard lengths for men or women. Jord will, at request and for a small fee custom size your band to your exact specifications. There is a "Size This Watch for Me" button for your convenience. I strongly dislike wearing anything tight around my wrists. I have slightly larger than "normal" wrists and I prefer my watch band to fit like a bracelet. Jord kindly fashioned my watch band to my requested length and it's just perfect. Jord Watches secure with a double deployment push button clasp. Opening the clasp is as simple as pressing the small buttons top and bottom on the clasp. Depending on the size of your hand and personal preference, the double clasp can be fully opened or just halfway. Securing this watch to your wrist is as simple as folding the clasp down on it's self and clicking it firmly in place. I feel good about this clasp, it holds securely and I've never had an issue with it failing. Don't be concerned about this piece being fashioned from wood. 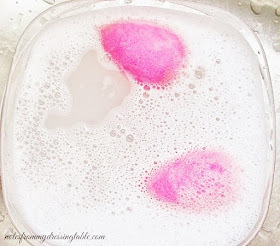 The interior surface is polished and feels smooth and comfortable against the skin. Styling this watch is fun and effortless. I prefer to wear this with more causal outfits. I tend to live in jeans and easy, simple tops and this timepiece goes right along with whatever I choose to wear, that day. Here it is stacked with my Soufeel silver European style charm bracelet. 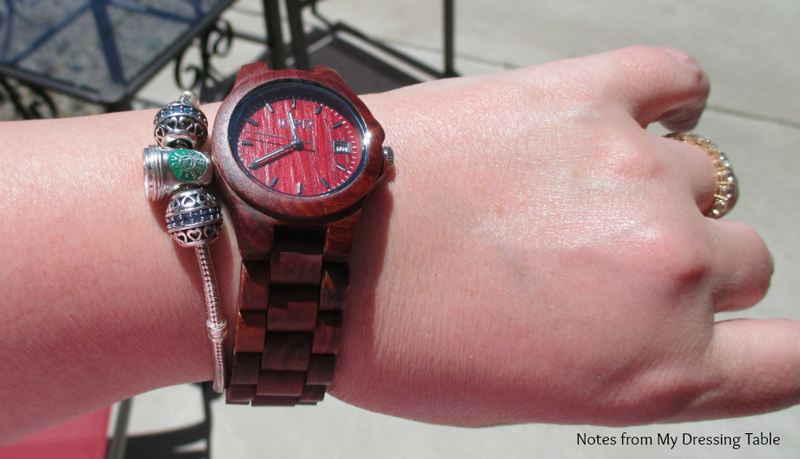 The cherry wood makes this watch pair up nicely with gold and rose gold, as well. The Jord Ely is available in four wood tones and is $129.00. Stalk Jord on Instagram, visit them on Facebook, follow on Twitter for all of the latest as well as shopping their full selection of beautiful watches for men and women here. 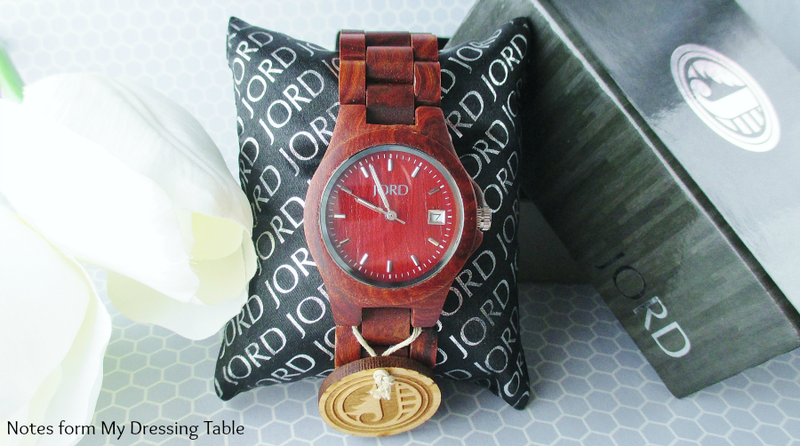 Jord Wood watches are a lovely indulgence for yourself and a beautiful gift for someone you love. I'm having the same issue with communication. It is a very nice watch, tho. I requested that the band be made a specific length when I requested this style. Your new watch looks really nice with your bracelet. I spy a Starbucks charm, haha, I have the same one! 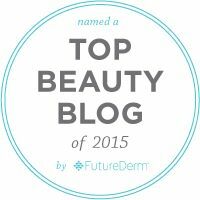 I got one last year initially for my husband and I wear it all the time! I love oversized watches and the wood grain is just awesome. I love the red tone of this one. Such classic time piece..I love wooden textures. That watch is so pretty and unique! This is a beautiful watch. I wouldn't have imagined a wooden watch looking so feminine. These watches are so well made. I like the look of this on your arm. Beautiful and love that it's made with wood! I have the same one--it's so pretty and unique! I love that color - it looks great on you. Hmmm...w hy is yours not in a wood box? This is such a cool fashion piece! I love cherry. What an unusual watch! I have this one and really love it! These wood watches have a different look, but I like it.